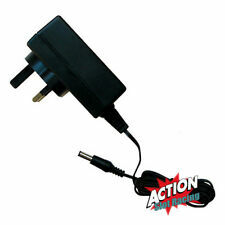 One Hornby AC Power adaptor only. Vintage Hammant &:Morgan H&M Flyer Model Railway Speed Controller, Forward and Reverse Voltage Tested so should work just fine on any 12v model railway, please see photos for further info. 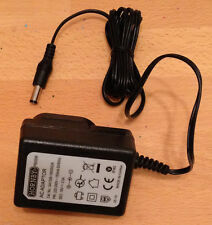 Complete with lead fixing nuts and mains plug. Other Stuff. 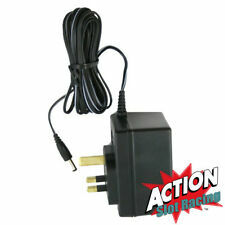 Hornby Micro Scalextric Mains Power Supply Transformer - 19v Adaptor - P9000. Condition is Used. Dispatched with Royal Mail 2nd Class. There are 3 x hornby R290 which haven't been taken out of the box before and a Triang R416 which similarly looks unused. There are two boxes with the wire and a separate box where I counted 35 masts with a sealed bag of mast brackets.